The nation's largest retailer is reportedly in talks to acquire one of the nation's largest healthcare providers. The Wall Street Journal reports Walmart is in the very early stages of discussions with Humana that could continue the trend of retailers joining forces with the healthcare industry. 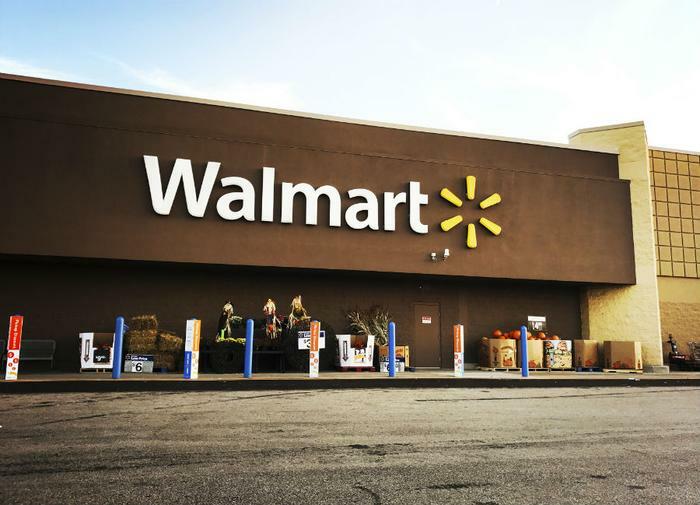 Such a deal, should it occur, would be Walmart's largest acquisition. Humana currently has a market cap of around $37 billion, compared to Walmart's value of $260 billion. Walmart already operates pharmacies in 4,700 U.S. stores. It also has walk-in clinics in many of its locations that dispense vaccines and other routine healthcare services. The acquisition of Humana would follow CVS's announcement in December that it is acquiring Aetna, combining a large pharmacy chain with a major health benefits provider. Health benefit companies like Aetna have enormous bargaining power with pharmaceutical companies. Combining that leverage with its own, CVS Health could be in a position to strengthen its competitive position in the marketplace, even against the likes of Amazon, which has reportedly been shopping for a healthcare partner. A deal with Humana would take that company off the table, keeping it from linking up with Amazon, and help Walmart consolidate its foothold in the healthcare market. In particular, Humana's specialization in Medicare clients could help Walmart with seniors. In early March, health insurance provider Cigna announced a $67 billion deal to acquire Express Scripts, a pharmacy benefits manager (PBM). The two companies said the merger would lead to a full suite of medical, behavioral, specialty pharmacy, and other health engagement services to give customers more options when it comes to their healthcare. For consumers, it could all mean the lines between specific industries are blurring. When it comes to healthcare, it could shift from the doctor's office to a nearby retail store. Reacting to the CVS-Aetna merger last December, Gerald Anderson, a professor at Johns Hopkins Bloomberg School of Public Health, says consumers would likely end up with fewer choices..
"If you have insurance through Aetna, most likely you are going to be going to a CVS and one of their Minute Clinics for healthcare," Anderson told ConsumerAffairs.